Our passionate team is dedicated to building the home of your dreams. 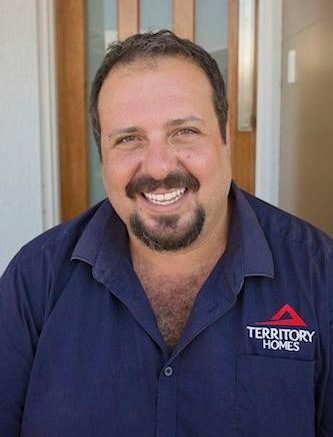 Dimitrios is the co-owner and Managing Director of Territory Homes. 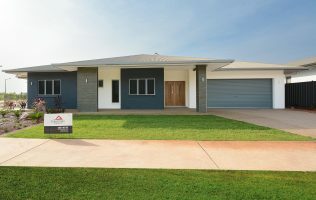 He’s the driver of the Territory Homes vision – creating strong and modern new homes for Territorians – and is always innovating and improving the value Territory Homes provides its clients. With a passion for modern Australian design, Dimitrios has an eye for quality and style… and this is evident in every new home he builds. 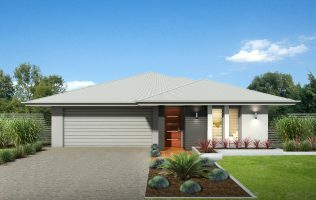 Dimitros has over 20 years experience in the industry, and follows in his family’s footsteps of building quality new homes in the Territory. Dimitrios leads from the front and can be seen on every new home location, making sure each and every Territory Homes home delivers utmost satisfaction to his clients. Dimitrios loves to go fishing and is a proud father and husband. 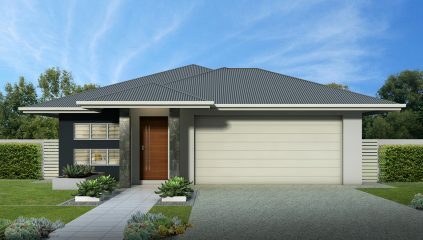 Elizabeth is the co-owner of Territory Homes. 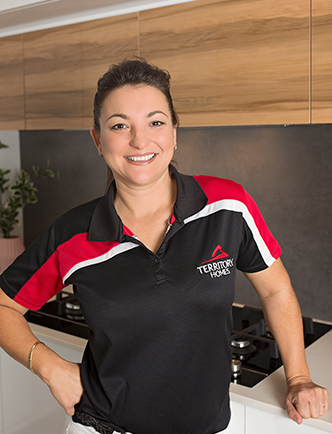 Partnering with Dimitrios, she leads the Territory Homes team towards the consistent production of quality new homes. 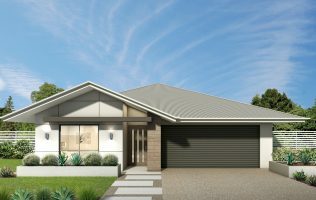 Often seen with sleeves rolled up in the office, display homes, or on-site, Elizabeth’s primary goal is the satisfaction and happiness of each Territory Homes client – without exception. 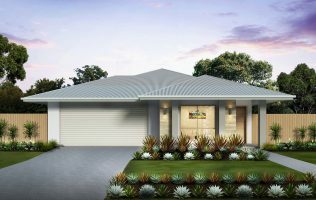 Elizabeth also has a passion for modern Australian home design… which makes her partnership with Dimitrios an asset to anybody looking for a stylish and strong new home in Darwin. 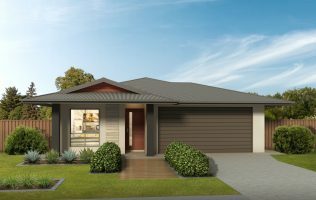 Athena is a passionate consultant at Territory Homes. She helps her clients build the home of their dreams by providing a wealth of new home knowledge and expertise, a strong eye for interior and exterior design, and a sounding board and advisory service. If you have a question or concern about building your new home, or are looking for a true ‘new home expert’, Athena can help. 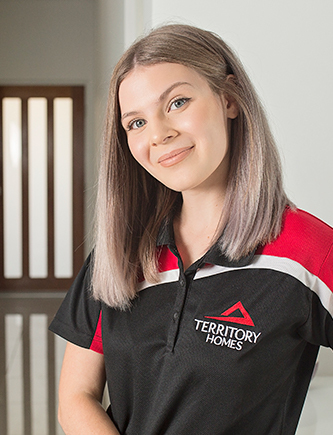 Laura is the newest member of the Territory Homes management team. 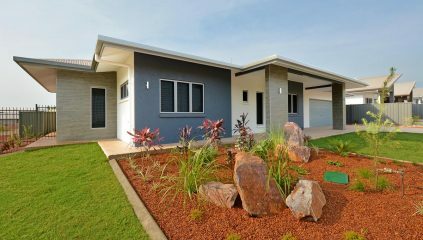 She’s a passionate and driven new home specialist, who combines her client service skills with a sharp design eye to help Dimitrios and the team produce the best quality homes in Darwin. 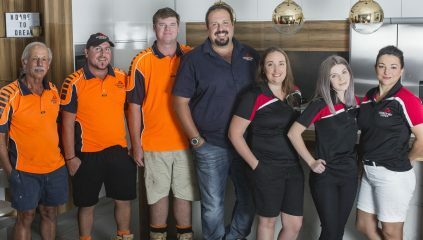 Our building team is carefully selected to ensure that each and every home is completed with the highest quality of workmanship.